We offer academic, sporting, co-curricular and personal development programmes that afford students every opportunity to grow in knowledge, self-confidence, skill and understanding. Well-ventilated and spacious class rooms make for a pleasant learning experience, The audio visual facility in every class room, enriches learning experience. 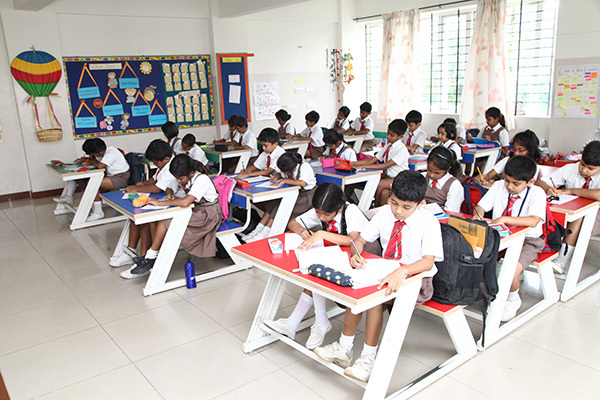 The size of the class room and the seating arrangement makes it easy for teachers to give individual attention to every student in the class. 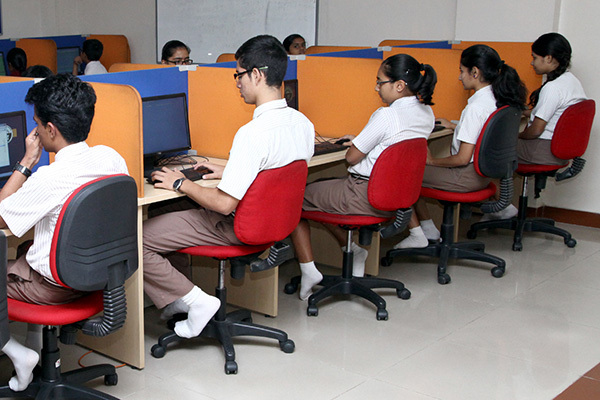 Computer education is an integral part of the school curriculum from grades 1 to 10.The school has state-of-art IT infrastructure with a next generation computer lab. Computers in the lab, audio-visual rooms and the staff rooms are networked. The curriculum is designed in a way that keeps the students abreast with frontier technology. Physics Laboratory is an open laboratory to cater to inter-disciplinary experimentation. The lab is equipped with instruments that allow structural experimentation by students. It allows to gain hands –on experience with instruments and apparatus that affords them unfettered opportunity to experiment. It is indeed a wonderful resource unit of the school. Physics Laboratory at NPS- HSR is a well organised, and a wonderful resource unit of the school. 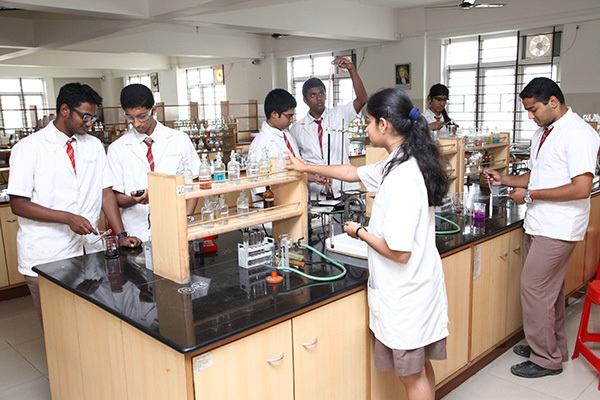 The school has a spacious and a well-equipped Chemistry Laboratory. The laboratory has a wide range of chemicals and apparatus that help in enriching the learning of the students. Students get hands-on experience while performing experiments. Under the guidance of teachers, students not only learn concepts related to the subject but they also develop observation, analytical and logical skills. Students are provided opportunities to undertake projects outside their curriculum. At NPS HSR we believe that learning is by doing. We have two well-equipped laboratories, junior and senior school labs. 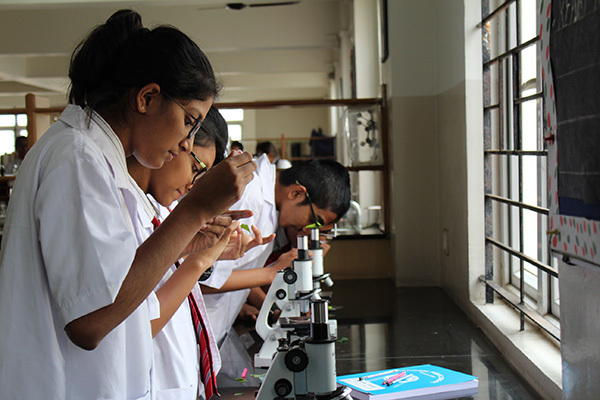 A spacious laboratory for our senior school has different preserved specimens, a wide range of permanent slides, light microscopes, models of the brain, sense organs, and human skeleton. 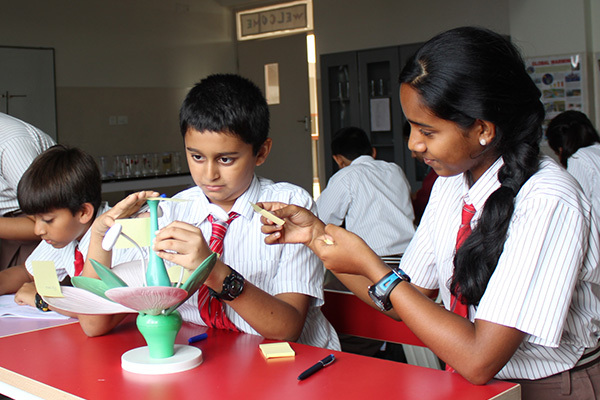 In addition, we have excellent facilities for the students of Grades 9 – 12, to get hands-on experience in performing different experiments such as temporary mount/slide preparations, chemical analysis of food samples, testing water samples for microbes, observing pollen germination, paper chromatography, study of osmosis etc. The Biology laboratory with its wide range of equipment, specimens and models serves as an excellent platform for learning and experimentation. The school has a multipurpose auditorium. The auditorium is fully air conditioned and is equipped with the latest audio-visual facilities. 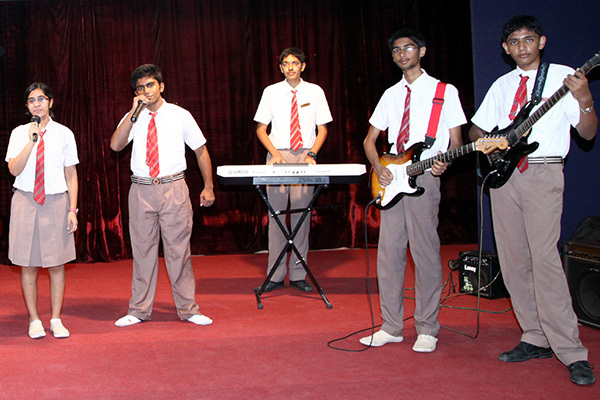 The auditorium comes to life during important functions, competitions, class assemblies and other inter-school and intra school activities. 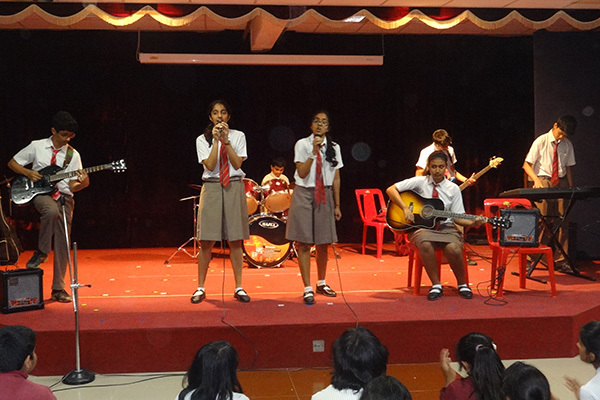 The stage help-s the students to showcase their extra-curricular talents. There is no gainsaying that prowess in extra-curricular activities are essential for a students’ all-round development. The walls of the Art Room are vibrant and colourful. Paintings made by the students and teachers bring life and colour to the room. 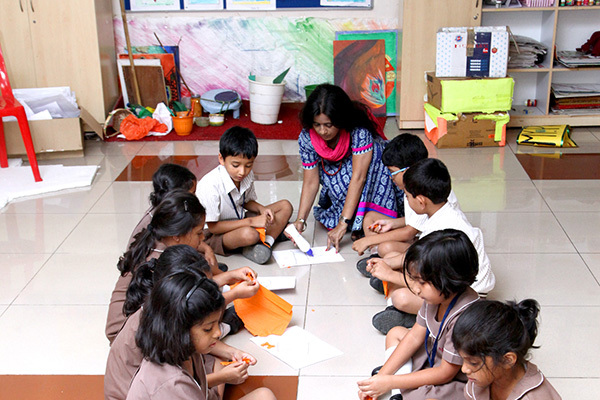 Students are introduced to different forms of art like Madhubani, Gond Warli etc. by highly accomplished Art teachers. 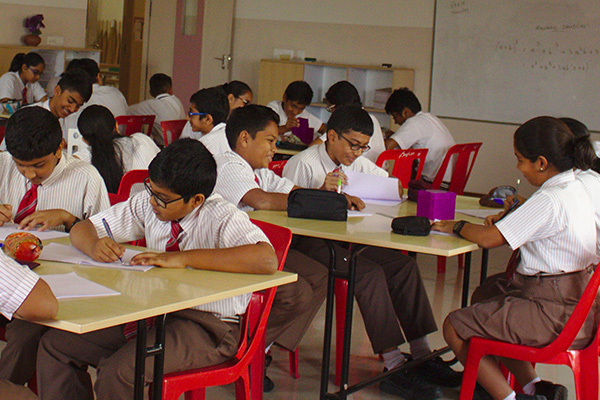 The school offers counselling for students as and when required. The Counsellor observes the students in various environments and decides on behavioural guidance on a case to case basis. Dance is a much loved activity at NPS HSR and an excellent stress buster for the students. The dance room is the wellspring from where talents begin to bloom. 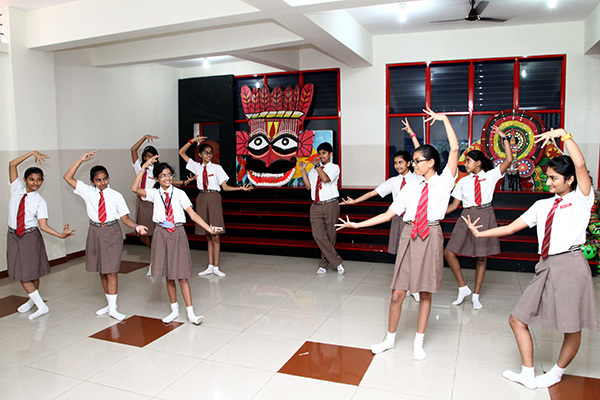 Students learn various forms of dance like the Free style, Folk dance, and Bharatnatyam. HealthCare Room in the school provides first-aid and care to students when required. The room has four beds with basic medical facilities. A qualified school nurse provides first aid and medical care to students who, while in school, suddenly take ill. The Reception area of the school is warm and welcoming. The area showcases the achievements of the students. The gleaming Trophies of the students which adorn the area are testimony to our students’ remarkable achievements. The warm and charming staff here provide a positive and welcoming environment. Hands on laboratory science experience is essential to the learning process to develop problem-solving and analytical skills. The lab has with variety of charts, specimens and models for students to observe and learn. Students of grade 1 to 8 visit JSL to experience hands on learning. Equipped with an eclectic range of books and periodicals, Audio-visual materials like CDs and DVDs, the fully automated library at NPS HSR is a dynamic hub of activity and a centre for learning. Separate sections with colour tagged books ensure that the Primary grades 1 – 5 have access to age-appropriate reading material. 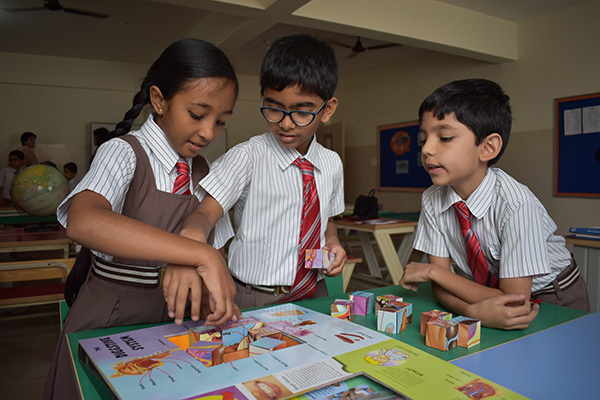 Information literacy activities are introduced at the primary level so that the students can utilize the reference section with a wide variety of general and subject encyclopedias. Each year brings with it a fresh treasure trove for our young minds to read, discover and bloom in. Mathematics can be intimidating with seemingly unintelligible symbols and notations. NPS HSR makes learning Mathematics fun. We believe that children need o first make sense of the world around them and develop number sense and spatial sense before they can successfully grasp the concepts of Mathematics. It is with this idea that NPS HSR initiated its Math lab facility where learning Mathematics takes place through activities. 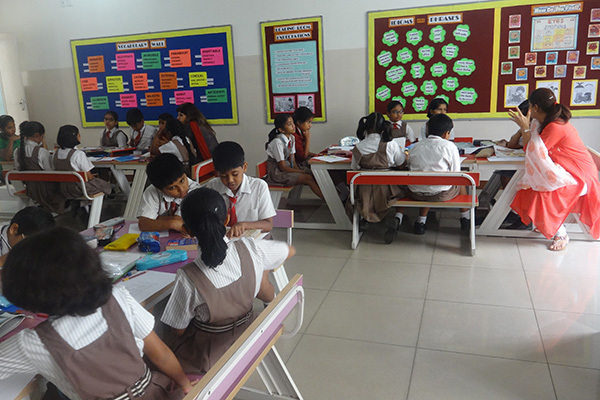 The Math Lab helps in developing the habits of critical thinking and logical reasoning. Complex theoretical concepts become clear because concepts go hand-in-hand with practical implementation. The Math Lab kindles interest in learning Mathematics because theoretical knowledge can be related to students’ activities in everyday life. The music room provides an environment that is conducive to learning and appreciation of music. The variety of musical instruments including African instrument Djembe present in the room affords opportunity to the students to bring their talents to fruition. Alongside learning to sing and play instruments, the primary school students get a glimpse of variety of musical influences through videos of great artists. They are also given a brief history of bands and genres. The school rock band practises and hones its skill in this room. Learning to read is one of the most important skills children can develop. The Reading Programme has a collection of over 1000 books. It covers a wide range of subjects, both fiction and nonfiction. The books are graded into levels and there is a gradual progression in terms of style, structure and vocabulary. 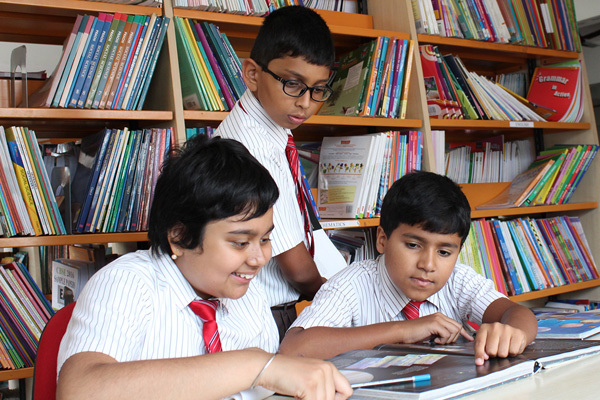 In the Reading Programme we try to stimulate the reading habit of students. The resource room is a separate educative environment, similar to a designated classroom. Teachers including a resource room activity in their regular lesson plan. It enhances the quality of teaching by adding a fun component. It is equipped with numerous wall maps, models, charts and other teaching aids to enhance the learning process. 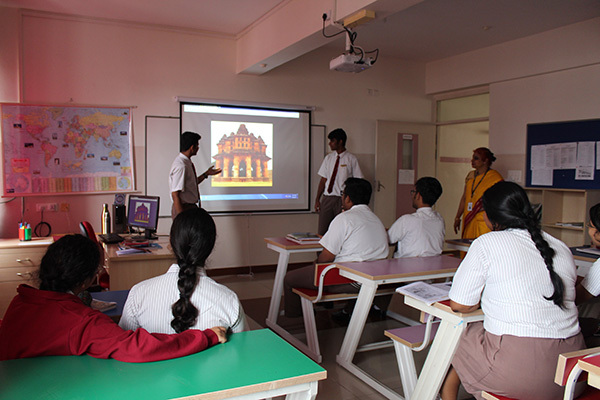 The room also has audio-visual facility which makes learning of Social Science in school truly interesting. 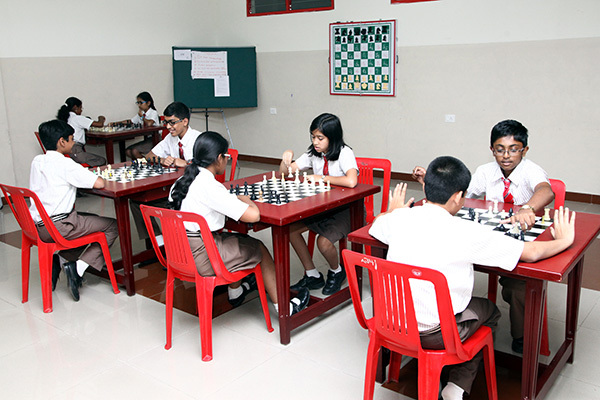 The Indoor games facility at NPS HSR provides the students an opportunity to unwind from the rigours of their academic schedules. The room has outdoor sports and pastime like table-tennis and chess. 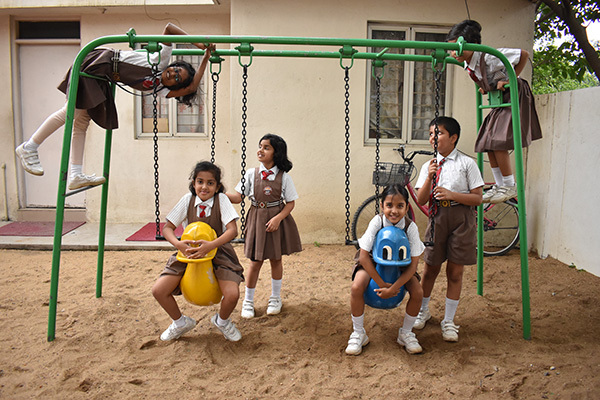 A play area helps students to rejuvenate and intermingle. The Jungle Gym at NPS HSR is a play structure for students in the Primary Grades. It is an outdoor recreational equipment that includes swing sets and slides. The area helps children to develop physical coordination, strength and flexibility. The gym provides recreation and enjoyment. 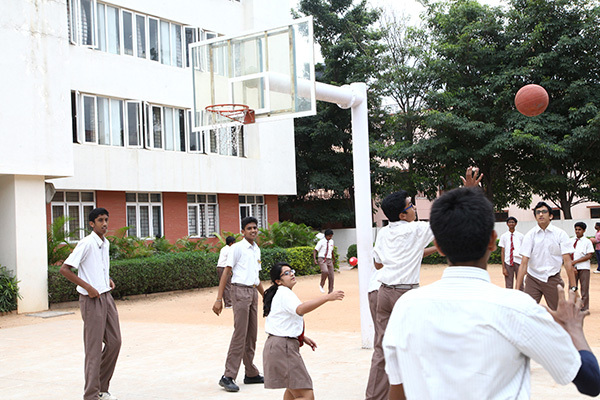 The students of NPS HSR enjoy playing basketball in their P.T periods. The Physical Education instructors train the students for upcoming sports events. ‘Yoga is the practice of quietening the mind’- Patanjali. Students of the school enjoy every moment of this quietening of the mind and perform various asanas in the yoga room, under the expert guidance of a yoga teacher. They are also trained to perform during International Yoga Day and Sports Day.